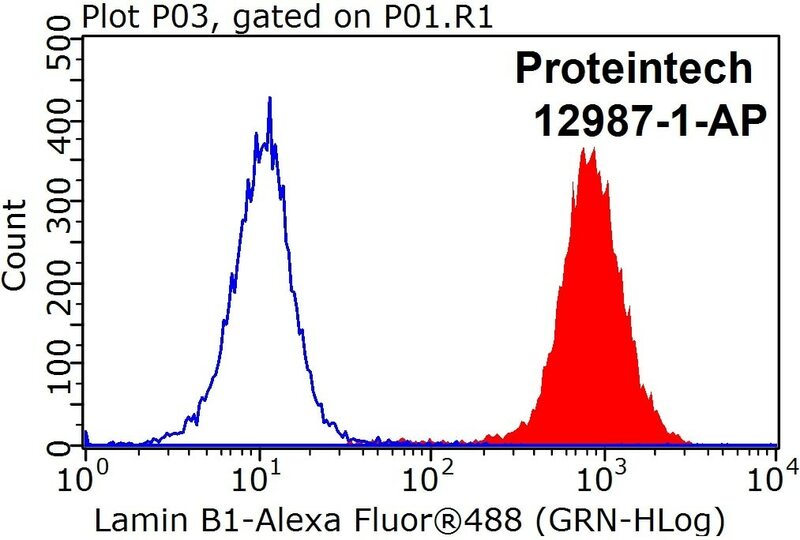 1X10^6 HEK-293 cells were stained with 0.2ug Lamin B1 antibody (12987-1-AP, red) and control antibody (blue). Fixed with 90% MeOH blocked with 3% BSA (30 min). 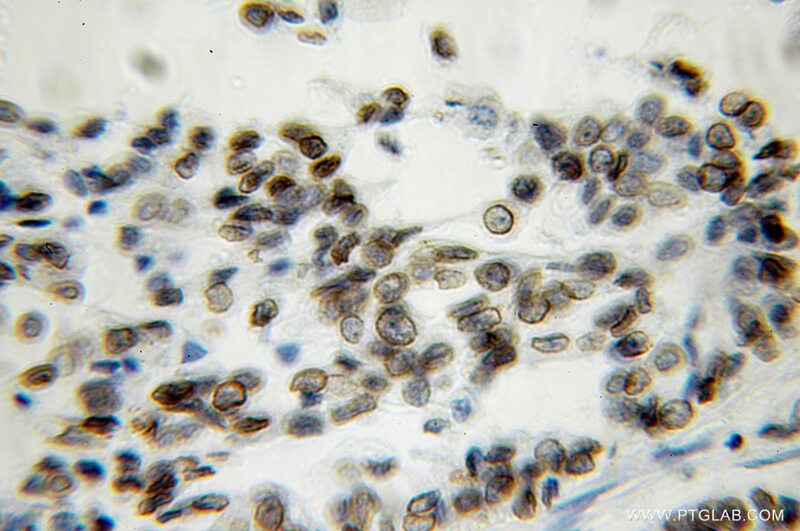 FITC-Goat anti-Rabbit IgG with dilution 1:100. 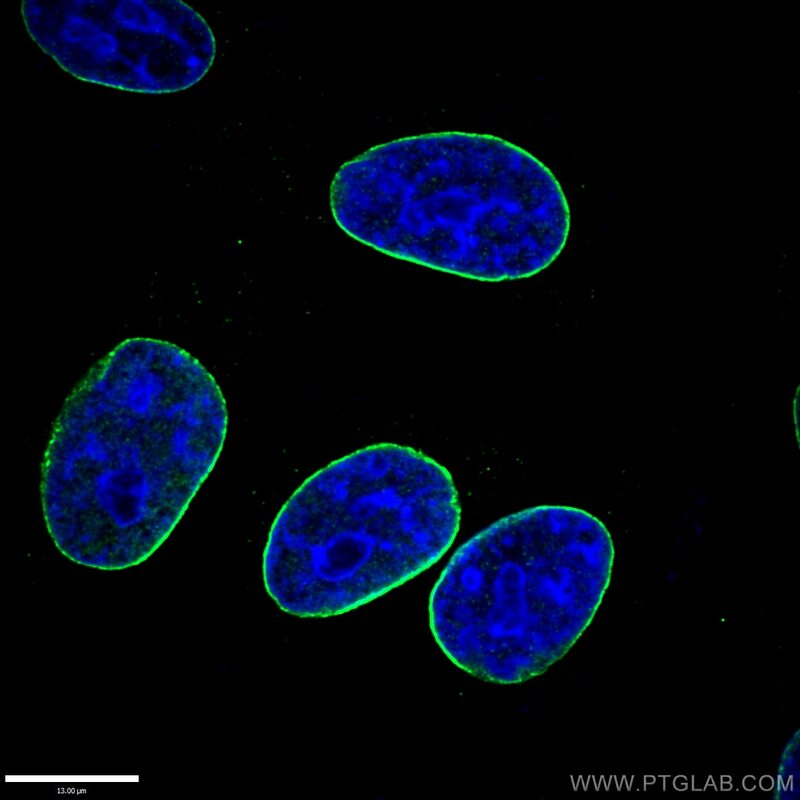 IP Result of anti-LMNB1 (IP:12987-1-AP, 3ug; Detection:12987-1-AP 1:1000) with HeLa cells lysate 2500ug. Lamins are components of the nuclear lamina, a fibrous layer on the nucleoplasmic side of the inner nuclear membrane, which is thought to provide a framework for the nuclear envelope and may also interact with chromatin. The nuclear lamina consists of a two-dimensional matrix of proteins located next to the inner nuclear membrane. 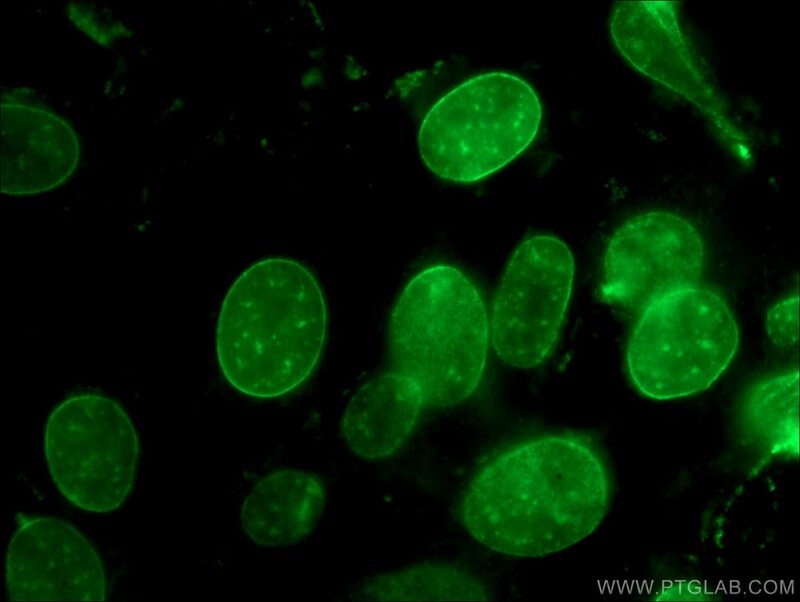 The lamin family of proteins make up the matrix and are highly conserved in evolution. 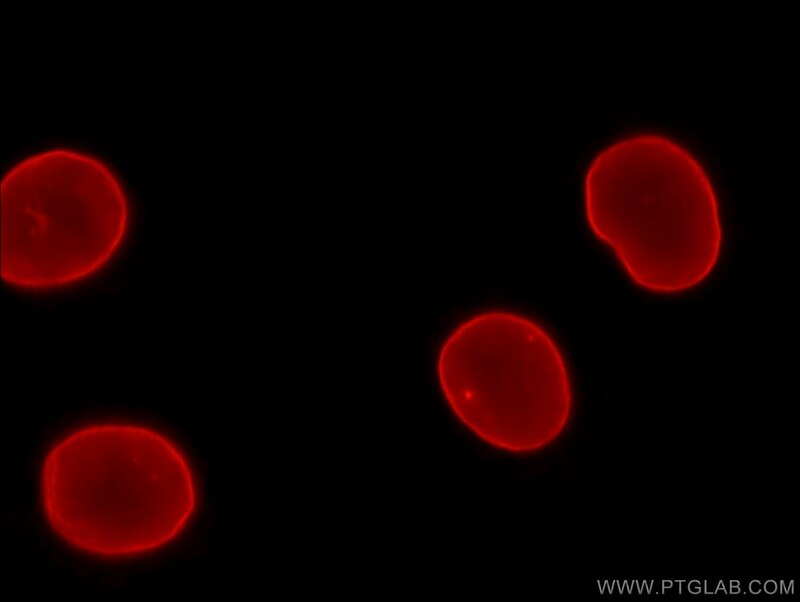 During mitosis, the lamina matrix is reversibly disassembled as the lamin proteins are phosphorylated. Vertebrate lamins consist of two types, A and B. This gene encodes one of the two B type proteins, B1. 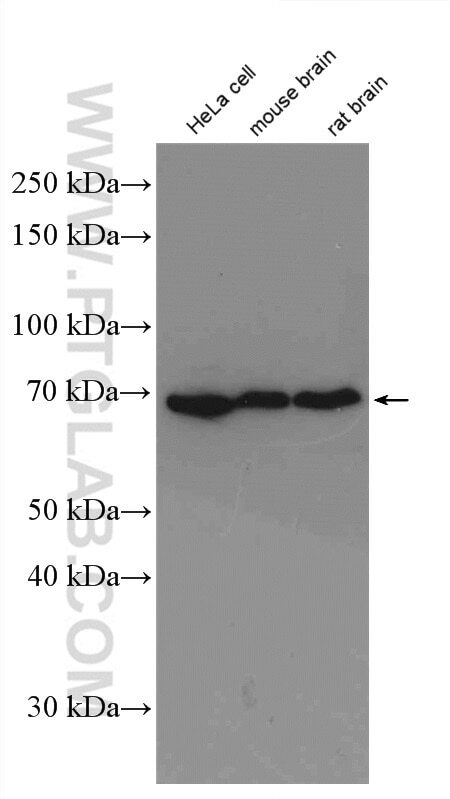 Expression of uncleavable mutant lamin A or B caused significant delays in the onset of chromatin condensation and nuclear shrinkage during apoptosis(PMID:11953316). 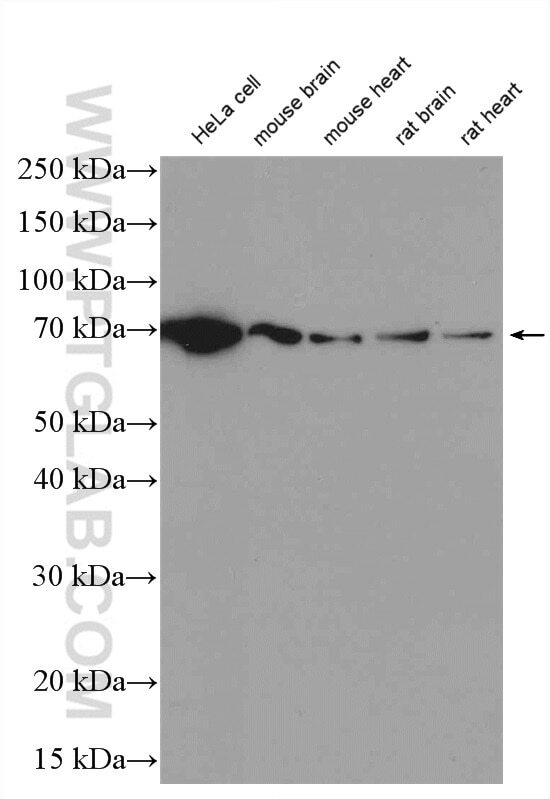 This protein is not suitable for samples where the nuclear envelope has been removed. KMUP-1 attenuates isoprenaline-induced cardiac hypertrophy in rats through NO/cGMP/PKG and ERK1/2/calcineurin A pathways. Activation of the Wnt/β-catenin signaling pathway is associated with glial proliferation in the adult spinal cord of ALS transgenic mice. 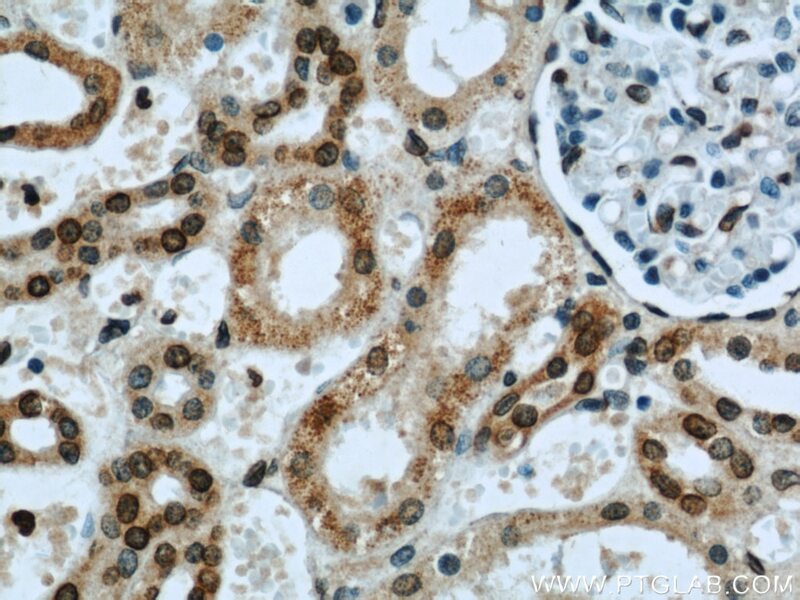 1,2,3,4,6-penta-O-galloyl-β-D-glucose protects PC12 Cells from MPP(+)-mediated cell death by inducing heme oxygenase-1 in an ERK- and Akt-dependent manner. 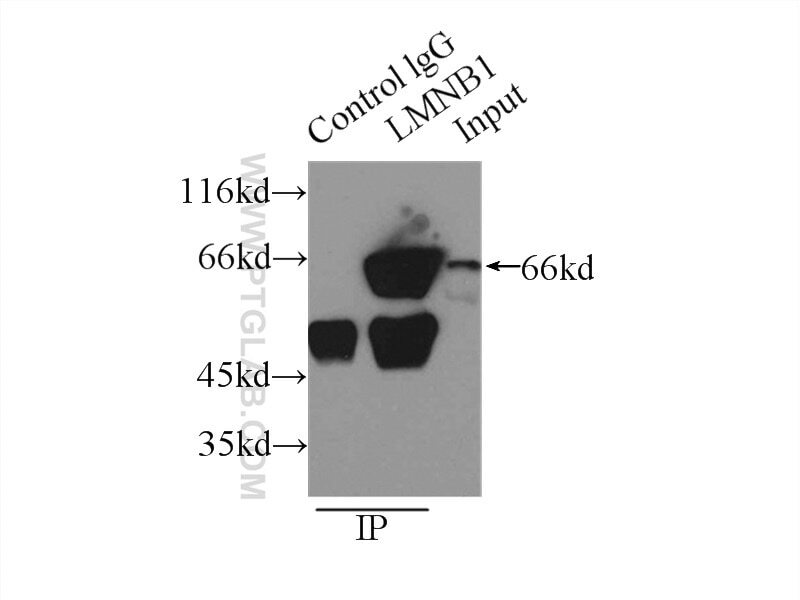 LSm14A is a processing body-associated sensor of viral nucleic acids that initiates cellular antiviral response in the early phase of viral infection. 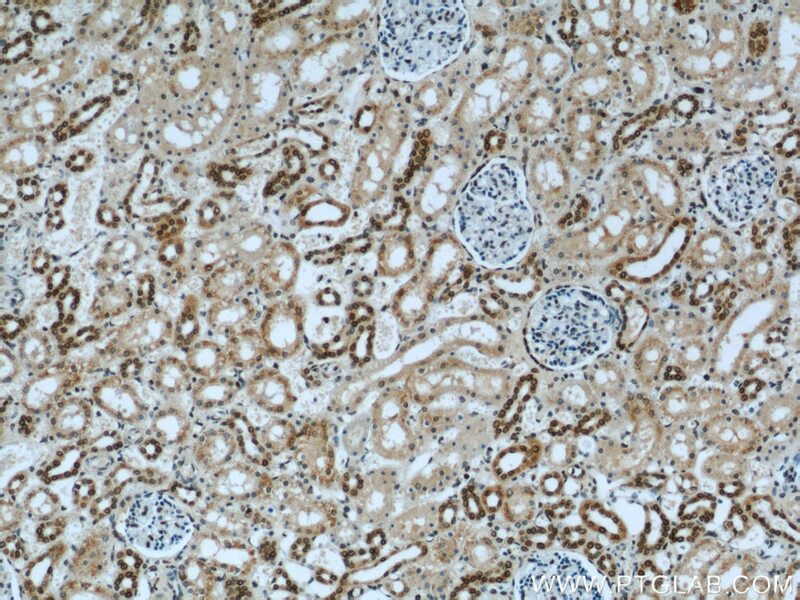 Adeno-associated virus Rep78 restricts adenovirus E1B55K-mediated p53 nuclear exportation. 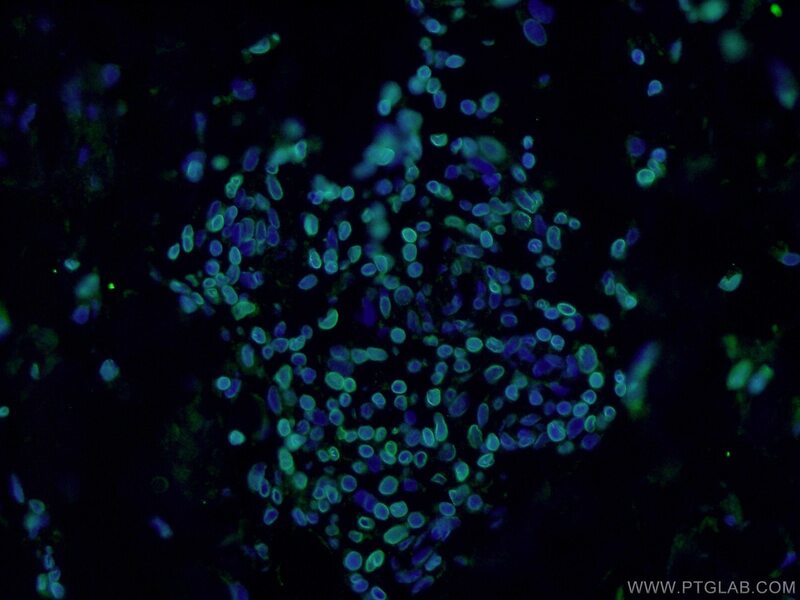 Immunofluorescent analysis of HepG2 cells, using LMNB1 antibody 12987-1-AP at 1:50 dilution and Rhodamine-labeled goat anti-rabbit IgG (red).